Business meetings are a great opportunity to review, discuss and plan ahead for your business. 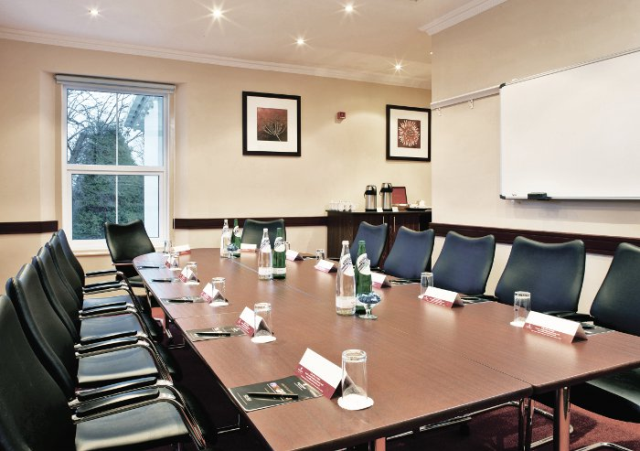 In order to do this most effectively, however, it is crucial to have the perfect venue for your business meeting. Those attending your business meeting may be traveling from many parts of the country. Therefore, it is important to find a venue that is centrally located and convenient for everyone to get to. It is preferable that the venue is located close to a motorway and has good public transport links. Parking facilities are also important. Similarly, if some meeting attendants want to stay over, it is important that there is also accommodation. In order to make your meeting productive, it is important to have the right set-up. This could include having internet access, LCD projector, flip charts, audio visual equipment and note-taking stationary. The venue size depends entirely on the purpose of your meeting. If it is a small team meeting or a large corporate product launch, the venue size will affect this considerably. In order to ensure that your meeting runs smoothly, always double-check that your venue can accommodate the final number of attendants and that they will provide enough refreshments and food for everyone present. Also, verify that there is enough car parking space available. Of course, the most important question when finding a venue is budget. It is important to have an idea of your budget per attendee as most venues will charge based on that, especially if refreshments and food is provided. If you are only looking for room hire, then that will, in most cases, be charged as a one-off fee regardless of the number of attendees.